Hydraulic Breakers from Indeco North America! When it Comes to Hydraulic Breakers…The Choice of Pros is INDECO! The home of the widest selection of the most reliable hydraulic breakers and hydraulic hammers in the industry is Indeco North America. 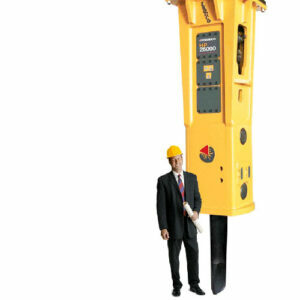 Big or small, cities or quarries, no matter what or where the demolition or excavation application is, when it comes to breaking rock, concrete or other materials, the pros continually turn to Indeco North America for the toughest, highest quality hydraulic breakers and hydraulic hammers in the business. Featuring the unique Intelligent Hydraulic System and available in 20 heavy-duty models in energy classes ranging from 180 ft.lb to 16,000 ft.lb. — and now including the amazing HP 25000, the largest hydraulic breaker in the world, Indeco hydraulic hammers are system engineered to fit your brand of excavator, loader backhoe, mini-excavator, skid-steer loader or stationary boom-mount system. Whether you’re demolishing city buildings, excavating road tunnels, removing slag from blast furnaces or performing highway maintenance, Indeco North America has a hydraulic hammer to fit your particular carrier, application and budget! Eliminates damaging “blank or dry firing” by preventing the piston from striking the tool whenever the tool is not resting firmly on the surface to be demolished. 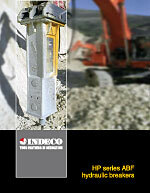 INDECO’s line of heavy-duty hydraulic breakers are the quietest around. And, if you need even quieter operation, try one of our whisper models available in all standard INDECO sizes. INDECO distributors have the service know-how and parts in stock to keep you running. 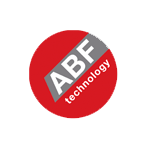 Field proven for over 20 years to stay on the job longer, regardless of how tough your application. Authorized INDECO distributors are fully trained to understand your needs on the job and to recommend that correct machine to handle them quickly, economically and reliably. INDECO offers the widest range of heavy-duty and whisper hydraulic breakers available on the market – twenty-four models in the 180-16,000 pound energy class – ensures a breaker for every carrier and application. Designed to direct the power into the material being broken and virtually eliminate recoil back to the carrier and your operator. Quick-change lower tool bushing can be replaced easily in the field to ensure the correct alignment between the piston and tool. INDECO hydraulic hammers are compatible with all sizes and makes of major brand carriers available in North America with a simple installation kit.